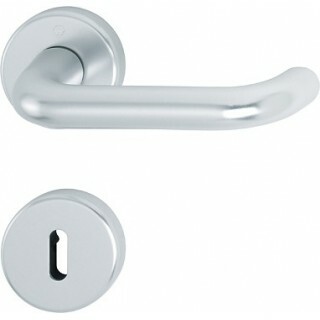 Interior door handle Hoppe aluminium Paris series on round rose. Easy installation for everyone, even for the less experienced because the quick-fit connection allows an engage of the handles with great simplicity. The Paris series available in silver and bronze finishes.